In this intricate and enthralling domestic drama, perfect for fans of Big Little Lies and The Affair, the internationally bestselling author of the “gossipy page-turner” (Glamour) The Perfect Neighbors goes deep into a marriage in crisis, peeling back layers of secrets to discover where the relationship veered off course?and whether it is worth saving.Josie and Frank Moore are happy…at least Josie thinks they are. As parents of two young girls in the Chicago suburbs, their days can be both busy and monotonous, and sometimes Josie wonders how she became a harried fortysomething mother rather than the driven career woman she once was. But Frank is a phenomenal father, he’s handsome and charismatic, and he still looks at his wife like she’s the beautiful woman he married more than a decade ago. Josie isn’t just happy?she’s lucky. Until one Saturday morning when Josie borrows her husband’s phone to make a quick call?and sees nine words that shatter her world. Now Josie feels as if she is standing at the edge of a sharp precipice. As she looks back at pivotal moments in the relationship she believed would last forever, she is also plunging ahead, surprising everyone (especially herself) with how far she will go to uncover the extent of her husband’s devastating secret. 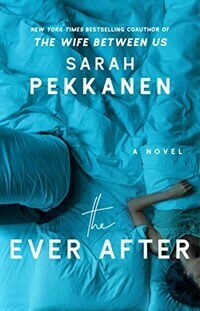 With her “conversational writing style and a knack for making readers care about her characters” (The Washington Post) bestselling author Sarah Pekkanen paints a vivid, kaleidoscopic portrait of a marriage before and during a crisis?and of a woman who fears that the biggest secret of all may be the one she’s hiding from herself.